Yesterday at MoMA I saw an exhibition curated by the Network Architecture Lab, Uneven Growth: Tactical Urbanisms For Expanding Mega-Cities. The exhibition struck me as very house of representatives with archi-biennale characteristics; the curators chose a representative city from each continent and then presented these cities through blow-up charts and video. Thus: NYC represented North America; Rio represent South America; Istanbul represented Europe; Lagos represented Africa; Hong Kong represented East Asia, and; Mumbai represented the Indian subcontinent. More interestingly, perhaps, the museum layout, especially in context of the third floor’s permanent architecture exhibitions, had me thinking about the looming, unrecognized figure of China and how we need to re-think not only urbanization, but also the critical frameworks in which we think about mega-cities. In order to locate my thinking about the mega-cities’ exhibition, it’s useful to remember the general layout of MoMA: 1st floor (sculpture museum), 2nd floor (contemporary exhibits), 3rd floor (architecture and photography), 4th floor (painting & sculpture II), 5th floor (painting & sculpture I), 6th floor (special exhibitions). Spatially, architecture mediates between the present (the city as sculpture and contemporary art) and our modern past (impressionism, cubism, minimalism, and all those other isms that have informed NYC urbanisms). Indeed, as I walked the museum, it was clear that MoMA put on display how modernism and its descendants has explored two major questions: how we have learned to see cities and our increasing abstraction from local societies and in turn, how these formerly situated points-of-view have been generalized, disseminated, deconstructed, and reconstructed over the past two centuries. A few observations helps to flesh out the expanding “we” of that constitutes MoMA as both a museum and an interestingly modern pilgrimage site. Of note, visitors were not local; I recognized Castilian Spanish, Russian, various flavors of Germanic, as well as Mandarin and Cantonese. Also, the guards’ ancestry seemed as diverse as that of the visitors. I spoke with guards from Nigeria, Columbia, and Nepal. This diversity re-appeared in the museum cafe where an Indian waiter flirted in Nuevo Yorqueno Spanish with ladies from Madrid. In other words, museum visitors and staff embodied aspects of the global(icing) urbanisms exhibited at MoMA. Now here’s the rub: the fourth and fifth floor permanent exhibits of modernism constituted how MoMA’s diverse users have learned to see urban processes through a white boy trajectory that moved from Paris (Cezanne, Dali, Matisse) to NYC (Johns, Lichtenstein, Pollack). Yes, my characterization is broad, and yes, Frida Kahlo pops up on the 5th floor, and yes again, the special exhibitions attempt to track alternative points-of-view, but the point holds. As an institution, MoMA constantly mediates the contradiction between the diversity of global urbanisms and our rather limited selection of critical perspectives on urbanization and its cultural fallout via Paris and New York. 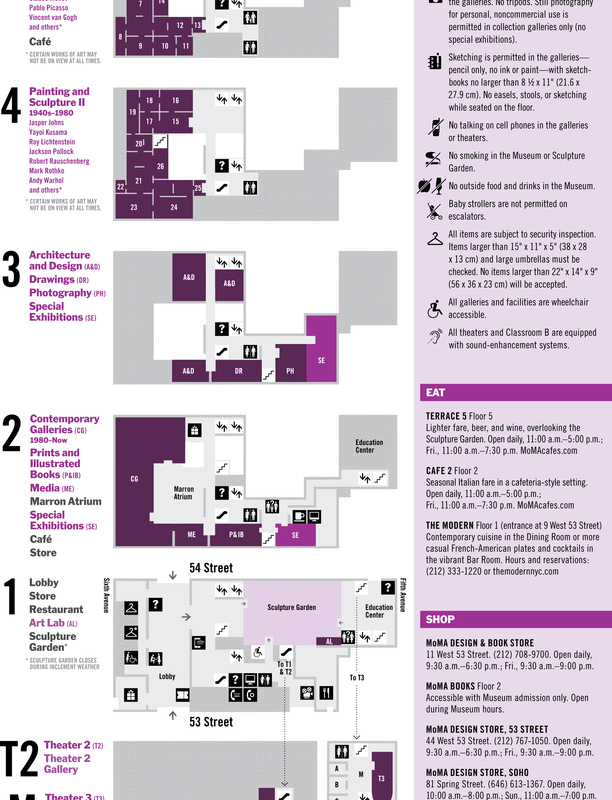 In fact, MoMA recommends that visitors with insufficient time to peruse exhibitions on all six floors focus on the permanent 4th and 5th floor collections. Of course, I know of no direct link between the 4th and 5th floor collections and the explicit exploration of urbanization on the 3rd floor. And yet. On even superficial reflection, the six cities selected for inclusion in the Uneven Growth exhibition begged all sorts of questions, such as: In what way is Istanbul a European city? With the exception of Rio de Janeiro, did Network Architecture Lab work in any city that the British did not colonize? How can Hong Kong, which has not expanded in the past thirty years (territory and population have remained stable) be more representative of mega-growth than its neighbor, Shenzhen, which has seen its urban territory expand exponentially and its population boom from 300,000 to 20 million in the same time frame? These questions become more interesting when juxtaposed with the other two exhibitions on MoMA’s 3rd floor, the Thomas Walther Photograph Collection and Soul of the Underground, which featured the work of Jean Dubuffet. On the one hand, the Thomas Walther photographs are dated from 1909 to 1949, one of the most important years in the 20th Century. Nevertheless, although the photographs show images from Paris, London, and New York, there are no photographs that reflect the establishment of the PRC, the United Nations, and Israel — all of which occurred in 1949 and have shaped the contemporary landscape. On the other hand, Jean Dubuffet’s work illustrates how primitive, non-western images have been deployed to figure alterity and its spirits within and against postwar transformations of the global order. All this to say, the expansion that the mega-city exhibition charts seems to be one of a given perspective on urbanization, a perspective that MoMA has been instrumental in shaping, rather than the great urban transformation of Asia, Africa, and South America. In fact, according to 2010 data on the City Mayors’ website, the only top-ten mega-city that made it into the exhibition was Mumbai. Impressions of the mega-cities exhibit, its place within the overall layout of MoMA, and MoMA’s construction as a temple to modernist urbanization, below. This entry was posted in photos, shenzhen elsewhere and tagged art, globalization, MoMA, urbanization. Bookmark the permalink.